What are my options to source these? I don’t want anything that will break in two weeks but also don’t have $1000+ in the budget. Any help would be appreciated. There are many options. Someone on FB R3v was selling rebuilt GKN axles for $260 a pair, shipped. He's in San Diego. Last edited by reelizmpro; 02-08-2019 at 08:51 AM. I literally just went through this shopping experience, as it was time to PM the race car axles. I googled this 100 different ways, read a million forum posts from all different forums and car types. The choices are basically (3) when you distill it down. (1) Cardone rebuilds which are a complete crapshoot. Even if they dont say Cardone, supposedly any axle that is sold as "rebuilt" (as in requires a core) no matter what brand / company label is on the box comes from the Cardone company. Apparently they are the only ones actually doing the rebuilds. With these rebuild you never know whats coming out of the box. I didnt even consider this option. 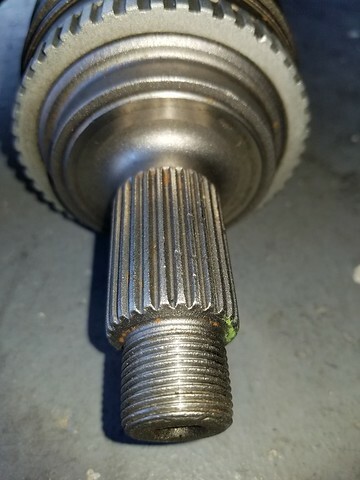 I have never seen one that the splines were not just fucked. (2) A slew of "New" Chinese axles, all sold under about 20 different brand labels, but at the end of the day they all seem to be Chinese axles. It seems like the labels are endless GSP, FEQ, Sure Trak, DSS, etc, etc. Basically all seem to be under $100 and all come from China (my assumption was probably all from the same factory). (3) New GKN / Loebro which are the only ones that seem to be BMW quality. Best price I found was Turner / ECS @ $250 ea., buyer beware with those two as evidenced by my post in the Turner / ECS thread, they may as well have shipped them in a shopping bag. Two expensive, heavy axles with easily damaged threads and splines just chucked in a box with literally 2 thin strips of air pillows as packing. Assholes. I literally wanted to get in an airplane, go to their warehouse and pick a fight I was so mad when I opened what was left of the shipping box. Since this set of axles I was shopping for was intended for my race car and DNFs cost way more than the cost of the broken parts, I did the GKN option. For one of my 100% street cars, I might gamble on trying a set of Chinese axles just to see what they are all about. Or at least buy one just to hold one in my hand and see what they are all about. 92 M Technic Cabrio - S14 Powered! Last edited by JimmyP; 02-08-2019 at 08:31 AM. When I rebuilt the drivetrain and suspension on my E30 a few years ago I went with the GKN Loebro ones. At the time I got them from RM European and they seemed to be packaged a little better than what JimmyP describes. Each one was in its own GKN-branded cardboard box (a box that was properly sized and obviously intended for the product), and those were packed into the larger box with the rest of my stuff. I have no idea who owns RM European or of they are independent or what, but they are one of the few remaining places I still like. They do not have the lowest prices, but they are reasonable. I purchased 2 new GKN. Fcp has lifetime warranty but if the originals last almost 30 years these might too and who knows what 2050 will look like. I chose OE as I’m planning road trips and I’m not getting stranded from a crap axle. That being said I think GSP is the main Chinese manufacturer for all the e30 axles. Most others seem to be repacked. Issue is new Chinese ones historically have had weak cages and break as well as non forged axles. You could buy 2 new GSP ones from ECs, but 2 nasty used ones and get new hardware from the GSP and the used “cores” from donors. I’ve seen that route. Beware new GKN are slightly different design (no hump in center) and made in Spain. That said they are still OE quality replacements. I thought about rebuilding mine and I still have the cores, but when the balls or cages wear or develop play, there is no amount of "rebuilding" we can do as users. Us "rebuilding" them is just a re-grease with new boots (which is the same thing I think Cardone does, thats what I have heard}. just put two GSP axles in our 325is race car. they came packaged nicely. I didn't take them apart before putting them in, but externally they looked ok and the CVJ's were tight with no play. we will see how they do on first race weekend, but for the price..worth a try. I ordered the “Chinese” ones, and will roll the dice since it’s street use only. Thank you all for the comments! Very helpful. do not. DO NOT . i bought 2 autozone duralasts and snapped the passenger side one maybe 10min out. put in some old torn greasy oem ones from the junkyard. Holds fine. GKN are far superior and worth the $$ over Chinese axles. As mentioned, for ~$500 you will never have to buy another pair. 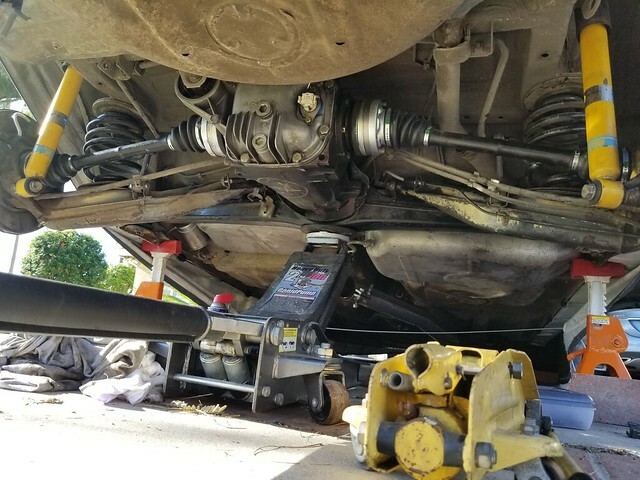 I have their rebuilt axles in my NSX (yes - I know different car). The axles have many track days on them and are still going strong. I think the pair were less than $300. (2016 prices).